P&O Ferries can get you through the snow! As the big freeze sweeps the nation and planes and trains get delayed and cancelled, P&O Ferries is on hand to get you across to the continent! During this cold snap of weather, when snow obstructs our railways and runways, P&O Ferries really shines through as the champion of travel to continent. Thousands of people have been held up on cancelled Eurostar trains and risk not getting home for Christmas, or seeing relatives that may live abroad. 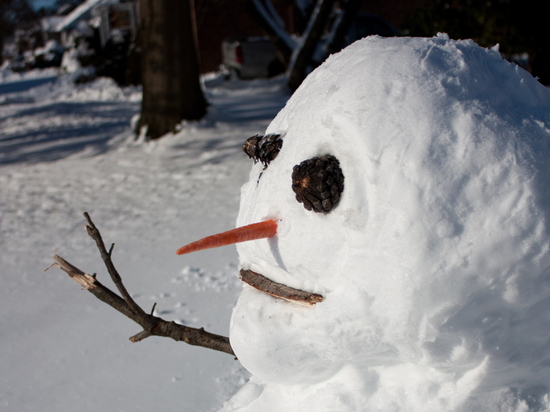 Or maybe you are worried that you won’t make that Skiing holiday you booked? Do not fear, because a bit of snow won’t stop P&O Ferries getting you across the channel. P&O Ferries runs daily services from Dover to Calais, so instead of waiting around outside St. Pancras in the cold for a Eurostar train, why not opt for a reliable P&O ferry? The journey takes around 75 minutes, and while you are on board you can relax in one of the many lounges, enjoy the delicious cuisine in the food court or Langan’s Brasserie. You can also finish the last of your Christmas shopping with up to 50% off UK high street prices in the onboard shop! If you want to get over to continent book now while tickets last! Do you feel like spending the last night of the year like it’s the last night of your life? Holland has long been famed for its strong sense of fun, and nowhere is this tradition more apparent than on New Year’s Eve in Amsterdam, writes John Hillman. Those of you thinking of doing something a bit different this New Year’s Eve should check out P&O Ferries’ mini-cruises to Holland. You can sail overnight from Hull to Rotterdam, enjoy all the fun of an entertainment filled evening on board and then, after a day’s sightseeing around Rotterdam, hop on a train to Amsterdam for one of the biggest parties in Europe. Alternatively you can head straight to the heart of Amsterdam on P&O Ferries three night Hull-Amsterdam mini-cruise. This is probably one of the best street parties to be had anywhere in Europe. It’s a night of full-on revelry in the streets, squares and along the canals of Amsterdam. The combination of fireworks and champagne may terrify the average health and safety inspector, but luckily the people of Amsterdam have yet to adopt Britain’s unhappy new religion. Those of you looking to see in the New Year surrounded by your fellow tourists should head to the Rembrandtplein, Leidseplein, Nieuwmarkt and of course, Dam Square. 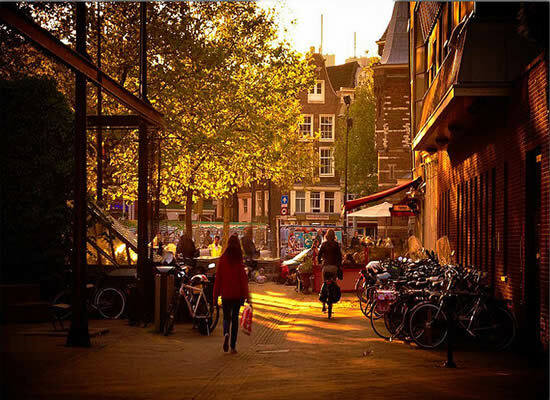 Meanwhile you’ll find the locals hiding away in the more off-beat Jordaan neighbourhood. Anyone who prefers the sensible option of watching a fireworks display in a more organised and less hectic environment, rather than having them thrown at your feet by groups of hyper schoolchildren, should head to the bridges over the Amstel River where you’ll get a calmer and safer vantage point from which to view this spectacular event. The most extreme place to go, for anyone looking to really get stuck in the full-on madness of the occasion, is Nieumarket. This is Amsterdam’s Chinatown, the place where more firecrackers are going to go off than anywhere else in the city. It’s fun, fierce and a little bit frightening, so anyone with an aversion to loud bangs and flashing lights should probably stay away. This is only for the serious party animals amongst you. So if you do go, good luck and remember to wear plenty of protective clothing. And remember, when the sky is exploding all around you and the floor is suddenly awash in the rat-tat-tat of firecrackers just clasp that bottle of champagne harder and keep on going. You can always look forward to the peace and tranquillity of the return journey home. Winter is always a dark time of year, the sun always sets earlier and the cold bites our limbs, but a visit to the famous City of Light will brighten you up a treat. 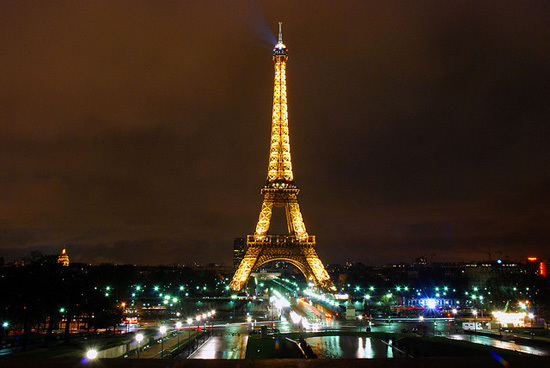 Rosie Khdir explores the lights of Paris. Where better that Paris, the Illuminated City, to enjoy a brighten winter season. Visitors this winter will be able to enjoy many Parisian monuments but in this post we will be highlighting to you the brightest of sights. In 2000 the Eiffel Tower was fitted with an amazing light show. This resumed in June 2003 and is now a somewhat permanent feature. To see this spectacular display visit the Tower between nightfall and 1 am in the morning this winter and watch it glisten and twinkle. The Eiffel Tower isn’t the only famous monument that is lit up at night; both Notre Dame, the Tour Saint-Jacques and the Sacré-Coeur all have spotlights or light displays on them. This way you can still go sightseeing at night and avoid the crowds! At this time of year, the whole of Paris will be adorned with Christmas decorations. As you do your shopping along the avenues you will see gleaming shop windows, each trying to outshine the display of their rivals. The real contenders in this arena are the famous Printemps and Galeries Lafayette department stores who both create magical display for Christmas. Galeries Lafayette puts up a giant Christmas tree, over twenty metres high and the store interior is decorated with around 5,200 light bulbs…how is that for bright? On top of this you have the Christmas markets that light up the streets of Paris, for example along the Champs Élysées and at the Maison de l’Alsace. You can also take in the festive atmosphere at the illuminated ice rinks found at Place de l’Hôtel-de-Ville and the Eiffel Tower ice rink on Champ-de-Mars. We all know that we as a global community have begun to think in a more ecological way. Paris would not be the same without its light, so Parisians had to come up with a more environmentally friendly way of shining bright. The end-of-year electricity consumption of the illuminations on the Champs Élysées has been reduced from 570,000 KW in 2006 to less than 50,000 KW in 2009! Then “Paris illumine Paris” operation has also followed suit, by solely using LEDs lights, which reduced energy consumption by 50%. These are just a few suggestions for a an illuminated winter in Paris, you can also see the illuminated bridges over the Seine, the famous lights of the Moulin Rouge and even art bathed in light! If you want to bright up the coming months, P&O Ferries can help you on your way. For just £30 for a car and up to nine people and from here it is a short drive to Paris. We have written before of the wonders of the Fotografiemuseum Amsterdam and this month sees the launch of yet another stunning exhibition. Rosie Khdir reveals W. Eugene Smith and his exhibition More Real than Reality. Foam will very soon be featuring six of Smith’s famous series, works which show exactly why he is considered the founder of the photographic essay. He is famous for his black and white images that evoke powerful emotion that are reflective of his social life. The series’ are to be displayed from 17th December 2010 until 16 March 2011 and will include The Country Doctor (1984) which is acclaimed as photojournalism’s first official photo essay. W. Eugene Smith was inspired to become a photographer at a young age thanks to his mother who was an amateur photographer herself. When he was young he had his first photo published in a local newspaper, and since then has been featured in such famous publications as Life magazine and Newsweek. He produced many famous works such as Nurse Midwirfe, A Man of Mercy and Spanish Village and all reflect his desire to achieve social change. Smith went on to take photos on the front line during the Second World War. Smith became frustrated with his own perfectionism which eventually drove to drugs and alcohol. His healthy began to deteriorate as he ended his career as a professor at the Centre for Creative Photography in Tucson. If you would like to see these touching works of a much admired photographer, then P&O Ferries can get you therewith the Hull to Rotterdam overnight service from £149 each way and from here it is just a short drive to Amsterdam. 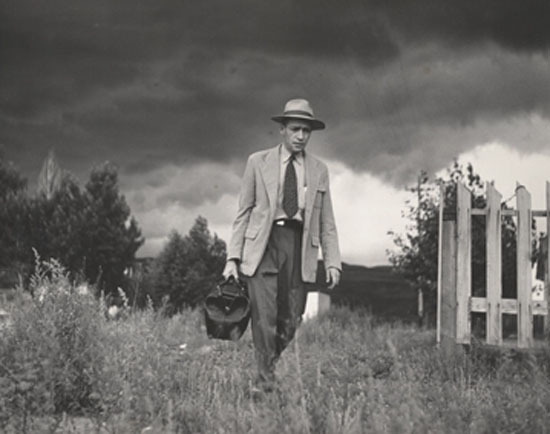 Image: Dr. Ceriani Country Doctor, 1948, The Heirs of W. Eugene Smith, Courtesy Black Star. Calling all fans of film and of art deco architecture! 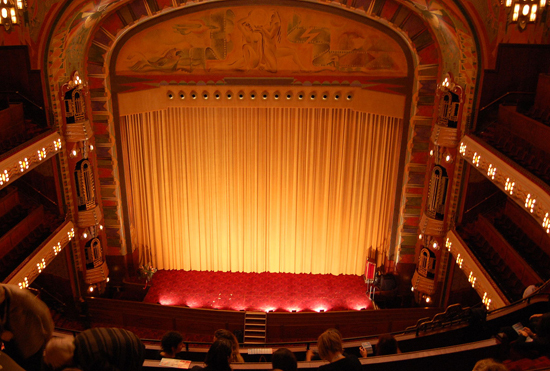 Rosie Khdir takes a look at the Amsterdam Tuschinski Theatre possibly one of the most beautiful cinemas in the world. If you are journeying to Amsterdam make sure you stop by the Amsterdam Tuschinski Theatre to catch the latest movie. This Pathé theatre opened its doors in 1921 and the buildings architecture definitely reflects the Art Deco style of the time. From 1998 to 2002 the building was completely renovated in its original style and believe me, this place can give Mans Chinese Theatre a run for its money. When you walk into the foyer it is almost like stepping into a fairytale, with its stunning decorations of peacocks and butterflies. The main auditorium seats 740 people and is often used for showing movie premieres in the Netherlands and for concerts and performances. The opulence seen in the foyer carries on into this room; the arch above the screen is beautifully decorated with tributes to the four elements earth, air, water and fire. The cinema today has six screening rooms, three of which are found in the new wing of the building and it shows the latest films like any other movie theatre – but with style. This cinema is the perfect place to spend an evening in old Hollywood glamour. P&O Ferries can help you get there with the Hull to Rotterdam overnight service from £149 each way and from here it is just a short drive to Amsterdam.